The laws, regulations and administrative provisions in force in the Member States with regard to the placing on the market of pyrotechnic articles are divergent, in particular as regards aspects such as safety and performance characteristics. Those laws, regulations and administrative provisions, being liable to cause barriers to trade within the Community, should be harmonised in order to guarantee the free movement of pyrotechnic articles within the internal market whilst ensuring a high level of protection of human health and safety and the protection of consumers and professional end users. Council Directive 93/15/EEC of 5 April 1993 on the harmonisation of the provisions relating to the placing on the market and supervision of explosives for civil uses (3) excludes pyrotechnic articles from its scope and states that pyrotechnic articles require appropriate measures to ensure the protection of consumers and the safety of the public and that an additional directive is planned in this field. Council Directive 96/82/EC of 9 December 1996 on the control of major-accident hazards involving dangerous substances (4) sets out safety requirements for establishments where explosives, including pyrotechnic substances, are present. Pyrotechnic articles should include fireworks, theatrical pyrotechnic articles and pyrotechnic articles for technical purposes, such as gas generators used in airbags or in seatbelt pretensioners. This Directive should not apply to pyrotechnic articles to which Council Directive 96/98/EC of 20 December 1996 on marine equipment (5) and the relevant international conventions mentioned therein apply. In order to ensure appropriately high levels of protection, pyrotechnic articles should be categorised primarily according to their level of hazard as regards their type of use, purpose or noise level. According to the principles set out in the Council Resolution of 7 May 1985 on a new approach to technical harmonisation and standards (6), a pyrotechnic article should comply with this Directive when the article is placed on the Community market for the first time. In view of religious, cultural and traditional festivities in the Member States, fireworks built by the manufacturer for his own use and which have been approved by a Member State for use on its territory should not be considered as having been placed on the market and should not therefore need to comply with this Directive. Given the dangers inherent in the use of pyrotechnic articles, it is appropriate to lay down age limits for their sale to consumers and their use, and to ensure that their labelling displays sufficient and appropriate information on safe use, in order to protect human health and safety and the environment. Provision should be made for certain pyrotechnic articles to be made available only to authorised specialists with the necessary knowledge, skills and experience. With regard to pyrotechnic articles for vehicles, labelling requirements should take into account current practice and the fact that these articles are supplied exclusively to professional users. The use of pyrotechnic articles and, in particular, the use of fireworks, is subject to markedly divergent cultural customs and traditions in the respective Member States. This makes it necessary to allow Member States to take national measures to limit the use or sale of certain categories of fireworks to the general public for reasons of public security or safety. It is appropriate to establish essential safety requirements for pyrotechnic articles in order to protect consumers and to prevent accidents. Responsibility for ensuring that pyrotechnic articles comply with this Directive and in particular with those essential safety requirements should rest with the manufacturer. If the manufacturer is not established in the Community, the natural or legal person who imports a pyrotechnic article into the Community should ensure that the manufacturer has fulfilled his obligations under this Directive or should assume all obligations of the manufacturer. It should not be possible, where the essential safety requirements are satisfied, for Member States to prohibit, restrict or hinder the free movement of pyrotechnic articles. This Directive should apply without prejudice to national legislation on the licensing of manufacturers, distributors and importers by the Member States. In order to facilitate the process of demonstrating compliance with the essential safety requirements, harmonised standards for the design, manufacture and testing of pyrotechnic articles are being developed. European harmonised standards are drawn up, adopted and modified by the Committee for European Standardization (CEN), the Committee for Electro-technical Standardization (Cenelec) and the European Telecommunication Standards Institute (ETSI). These organisations are recognised as competent for the adoption of harmonised standards, which they draw up in accordance with the general guidelines for cooperation between themselves and the European Commission and the European Free Trade Association (7), and with the procedure laid down in Directive 98/34/EC of the European Parliament and of the Council of 22 June 1998 laying down a procedure for the provision of information in the field of technical standards and regulations and of rules on Information Society services (8). With regard to pyrotechnic articles for vehicles, the international orientation of the European vehicle supply industry should be reflected by taking into account the relevant international ISO standards. In line with the ‘New Approach to technical harmonisation and standardisation’, pyrotechnic articles manufactured in compliance with harmonised standards should benefit from a presumption of conformity with the essential safety requirements provided for in this Directive. By Decision 93/465/EEC of 22 July 1993 concerning the modules for the various phases of the conformity assessment procedures and the rules for the affixing and use of the CE conformity marking, which are intended to be used in the technical harmonisation directives (9), the Council introduced harmonised means of applying procedures for conformity assessment. The application of these modules to pyrotechnic articles will make it possible to determine the responsibility of manufacturers and of bodies involved in the conformity assessment procedure by taking account of the nature of the pyrotechnic articles concerned. Groups of pyrotechnic articles that are similar in design, function or behaviour should be assessed by the notified bodies as product families. In order to be placed on the market, pyrotechnic articles should bear a CE marking indicating their conformity with the provisions of this Directive to enable them to move freely within the Community. According to the ‘New Approach to technical harmonisation and standardisation’, a safeguard clause procedure is necessary to allow the possibility for contesting the conformity of a pyrotechnic article or failures. Accordingly, Member States should take all appropriate measures to prohibit or restrict the placing on the market of products bearing a CE marking or to withdraw such products from the market if they endanger the health and safety of consumers when the products are used for their intended purpose. As regards safety in transportation, the rules concerning the transport of pyrotechnic articles are covered by international conventions and agreements, including the United Nations recommendations on the transport of dangerous goods. Member States should lay down rules on penalties applicable to infringements of the provisions of national law adopted pursuant to this Directive and ensure that these rules are implemented. The penalties provided for should be effective, proportionate and dissuasive. It is in the interests of the manufacturer and the importer to supply safe products in order to avoid liability costs for defective products causing damage to individuals and private property. In this regard, Council Directive 85/374/EEC of 25 July 1985 on the approximation of the laws, regulations and administrative provisions of the Member States concerning liability for defective products (10) complements this Directive, since that Directive imposes a strict liability regime on manufactures and importers and ensures an adequate level of protection for consumers. Furthermore, this Directive provides that notified bodies should be adequately insured in respect of their professional activities, unless their liability is assumed by the State in accordance with national law, or the Member State itself is directly responsible for the tests. It is vital to provide for a transitional period to allow national laws in specified fields to be adapted gradually. Manufacturers and importers need to be given time to exercise any rights under national rules in force before the entry into force of this Directive in order, for example, to sell their stocks of manufactured products. Furthermore, the specific transitional periods provided for for the application of this Directive would allow extra time for the adoption of harmonised standards and would ensure the speedy implementation of this Directive so as to enhance the protection of consumers. Since the objectives of this Directive cannot be sufficiently achieved by the Member States and can therefore be better achieved at Community level, the Community may adopt measures, in accordance with the principle of subsidiarity as set out in Article 5 of the Treaty. In accordance with the principle of proportionality, as set out in that Article, this Directive does not go beyond what is necessary in order to achieve those objectives. The measures necessary for the implementation of this Directive should be adopted in accordance with Council Decision 1999/468/EC of 28 June 1999 laying down the procedures for the exercise of implementing powers conferred on the Commission (11). In particular, the Commission should be empowered to adopt Community measures concerning United Nations recommendations, the labelling requirements of pyrotechnic articles and adaptations to technical progress of Annexes II and III related to safety requirements and conformity assessment procedures. Since those measures are of general scope and are designed to amend non-essential elements of this Directive, or to supplement it by the addition of new non-essential elements, they must be adopted in accordance with the regulatory procedure with scrutiny provided for in Article 5a of Decision 1999/468/EC. 1. This Directive establishes rules designed to achieve the free movement of pyrotechnic articles in the internal market while, at the same time, ensuring a high level of protection of human health and public security and the protection and safety of consumers and taking into account the relevant aspects related to environmental protection. 2. This Directive establishes the essential safety requirements which pyrotechnic articles must fulfil with a view to their being placed on the market. 3. This Directive shall apply to pyrotechnic articles as defined in Article 2(1) to (5). Ammunition, meaning projectiles and propelling charges and blank ammunition used in portable firearms, other guns and artillery. ‘Pyrotechnic article’ means any article containing explosive substances or an explosive mixture of substances designed to produce heat, light, sound, gas or smoke or a combination of such effects through self-sustained exothermic chemical reactions. ‘Placing on the market’ means the first making available on the Community market of an individual product, with a view to its distribution and/or use, whether for payment or free of charge. Fireworks built by a manufacturer for his own use and which have been approved by a Member State for use on its territory are not to be considered as having been placed on the market. ‘Firework’ means a pyrotechnic article intended for entertainment purposes. ‘Theatrical pyrotechnic articles’ means pyrotechnic articles designed for indoor or outdoor stage use, including film and television productions or similar use. ‘Pyrotechnic articles for vehicles’ means components of safety devices in vehicles which contain pyrotechnic substances used to activate these or other devices. ‘Manufacturer’ means a natural or legal person who designs and/or manufactures a pyrotechnic article, or who causes such an article to be designed and manufactured, with a view to placing it on the market under his own name or trademark. ‘Importer’ means any natural or legal person established in the Community who makes a pyrotechnic article originating from a third country available on the Community market for the first time in the course of his business. ‘Distributor’ means any natural or legal person in the supply chain who makes a pyrotechnic article available on the market in the course of his business. ‘Harmonised standard’ means a European standard adopted by a European standardisation body under a mandate from the Commission in conformity with the procedures laid down in Directive 98/34/EC and with which compliance is not compulsory. ‘Person with specialist knowledge’ means a person authorised by a Member State to handle and/or use on its territory category 4 fireworks, category T2 theatrical pyrotechnic articles and/or category P2 other pyrotechnic articles as defined in Article 3. 1. Pyrotechnic articles shall be categorised by the manufacturer according to their type of use, or their purpose and level of hazard, including their noise level. The notified bodies referred to in Article 10 shall confirm the categorisation as part of the conformity assessment procedures in accordance with Article 9.
fireworks which present a high hazard, which are intended for use only by persons with specialist knowledge (commonly known as fireworks for professional use) and whose noise level is not harmful to human health. pyrotechnic articles for stage use which are intended for use only by persons with specialist knowledge. pyrotechnic articles other than fireworks and theatrical pyrotechnic articles which are intended for handling or use only by persons with specialist knowledge. 2. Member States shall inform the Commission of the procedures whereby they identify and authorise persons with specialist knowledge. 1. Manufacturers shall ensure that pyrotechnic articles placed on the market comply with the essential safety requirements set out in Annex I. 2. If the manufacturer is not established in the Community, the importer of the pyrotechnic articles shall ensure that the manufacturer has fulfilled his obligations under this Directive or assume these obligations himself. The importer may be held liable by authorities and bodies in the Community with regard to those obligations. 3. Distributors shall act with due care in accordance with applicable Community law. In particular they shall verify that the pyrotechnic article bears the required conformity marking(s) and is accompanied by the required documents. affix a CE marking to, and label the pyrotechnic article in accordance with Article 11, and Article 12 or 13. 1. Member States shall take all appropriate measures to ensure that pyrotechnic articles may be placed on the market only if they satisfy the requirements of this Directive, bear a CE marking, and comply with the obligations relating to the conformity assessment. 2. Member States shall take all appropriate measures to ensure that pyrotechnic articles do not unduly bear a CE marking. 1. Member States shall not prohibit, restrict or hinder the placing on the market of pyrotechnic articles which satisfy the requirements of this Directive. 2. The provisions of this Directive shall not preclude measures taken by a Member State to prohibit or restrict the possession, use and/or the sale to the general public of category 2 and 3 fireworks, theatrical pyrotechnic articles and other pyrotechnic articles, which measures are justified on grounds of public order, security or safety, or environmental protection. 3. At trade fairs, exhibitions and demonstrations for the marketing of pyrotechnic articles, Member States shall not prevent the showing and use of pyrotechnic articles not in conformity with the provisions of this Directive, provided that a visible sign clearly indicates the name and date of the trade fair, exhibition or demonstration in question and the non-conformity and non-availability for sale of the articles until brought into conformity by the manufacturer, where such manufacturer is established within the Community, or by the importer. During such events, appropriate safety measures shall be taken in accordance with any requirements laid down by the competent authority of the Member State concerned. 4. Member States shall not prevent the free movement and use of pyrotechnic articles manufactured for the purpose of research, development and testing and which are not in conformity with the provisions of this Directive, provided that a visible sign clearly indicates their non-conformity and non-availability for purposes other than research, development and testing. Category T1 and P1: 18 years. 2. Member States may increase the age limits under paragraph 1 where justified on grounds of public order, security or safety. Member States may also lower the age limits for persons vocationally trained or undergoing such training. pyrotechnic articles of category P2 and theatrical pyrotechnic articles of category T2. 1. The Commission may, in accordance with the procedures laid down by Directive 98/34/EC, request the European standardisation bodies to draw up or revise European standards in support of this Directive or encourage the relevant international bodies to draw up or revise international standards. 2. The Commission shall publish in the Official Journal of the European Union the references of such harmonised standards. 3. Member States shall ensure that the harmonised standards published in the Official Journal of the European Union are acknowledged and adopted. Member States shall consider pyrotechnic articles falling within the scope of this Directive which comply with the relevant national standards transposing the harmonised standards published in the Official Journal of the European Union to be in conformity with the essential safety requirements set out in Annex I. Member States shall publish the references of the national standards transposing those harmonised standards. When Member States adopt national transpositions of the harmonised standards they shall publish the reference numbers of those transpositions. 4. Where a Member State or the Commission considers that the harmonised standards referred to in paragraph 2 of this Article do not fully satisfy the essential safety requirements set out in Annex I, the Commission or the Member State concerned shall refer the matter to the Standing Committee set up by Directive 98/34/EC, giving its reasons. The Standing Committee shall deliver its opinion within six months of such referral. In the light of the Standing Committee's opinion the Commission shall inform the Member States of the measures to be taken regarding the harmonised standards and the publication referred to in paragraph 2.
the full product quality assurance procedure (Module H) referred to in Annex II, Section 6, insofar as it concerns fireworks of category 4. 1. Member States shall inform the Commission and the other Member States of the bodies which they have appointed to carry out the conformity assessment procedures referred to in Article 9, together with the specific tasks which these bodies have been appointed to carry out and the identification numbers assigned to them by the Commission. 2. The Commission shall make available to the public on its website a list of the notified bodies and their identification numbers and the tasks for which they have been notified. The Commission shall ensure that this list is kept up to date. 3. Member States shall apply the minimum criteria set out in Annex III for the assessment of bodies of which the Commission is to be notified. Bodies which meet the assessment criteria laid down by the harmonised standards relevant for notified bodies shall be presumed to satisfy the relevant minimum criteria. 4. A Member State which has notified the Commission of a given body shall withdraw the notification if it discovers that that body no longer meets the minimum criteria referred to in paragraph 3. It shall immediately inform the other Member States and the Commission thereof. 5. If the notification of a body is withdrawn, the attestations of conformity and the related documents provided by the body in question shall remain valid unless it is established that there is an imminent and direct risk to health and safety. 6. The Commission shall make available to the public on its website the withdrawal of the notification of the body in question. 1. 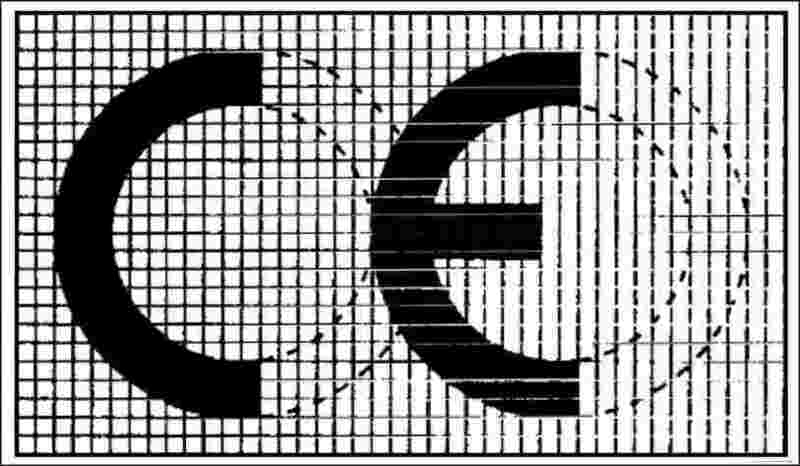 After having successfully completed the conformity assessment in accordance with Article 9, manufacturers shall visibly, legibly and indelibly affix the CE marking to the pyrotechnic articles themselves or, if this is not possible, to an identification plate attached thereto or to the packaging. The identification plate must be so designed as to make its reuse impossible. The model to be used for the CE marking shall be in accordance with Decision 93/465/EEC. 2. No marking or inscription which may confuse third persons as to the meaning and form of the CE marking may be affixed to pyrotechnic articles. Any other marking may be affixed to pyrotechnic articles provided the visibility and legibility of the CE marking is not impaired. 3. Where pyrotechnic articles are subject to other Community legislation which covers other aspects of, and prescribes the affixing of, the CE marking, this marking shall indicate that those articles are also presumed to conform to the provisions of the other legislation which applies to them. 1. Manufacturers shall ensure that pyrotechnic articles other than pyrotechnic articles for vehicles are properly labelled visibly, legibly and indelibly in the official language(s) of the Member State in which the article is sold to the consumer. 2. The labelling of pyrotechnic articles shall include as a minimum the name and address of the manufacturer or, where the manufacturer is not established in the Community, the name of the manufacturer and the name and address of the importer, the name and type of the article, the minimum age limits as indicated in Article 7(1) and (2), the relevant category and instructions for use, the year of production for category 3 and 4 fireworks and, where appropriate, a minimum safety distance. The labelling shall include the net equivalent quantity (NEQ) of active explosive material. where appropriate: ‘for outdoor use only’ and a minimum safety distance. ‘for outdoor use only’ and, where appropriate, minimum safety distance(s). ‘for outdoor use only’ and minimum safety distance(s). ‘for use only by persons with specialist knowledge’ and minimum safety distance(s). 5. If the pyrotechnic article does not provide sufficient space for the labelling requirements referred to in paragraphs 2 to 4, the information shall be provided on the smallest piece of packaging. 6. The provisions of this Article shall not apply to pyrotechnic articles shown at trade fairs, exhibitions and demonstrations for the marketing of pyrotechnic articles, as referred to in Article 6(3), or manufactured for the purpose of research, development and testing, as referred to in Article 6(4). 1. The labelling of pyrotechnic articles for vehicles shall include the name of the manufacturer or, where the manufacturer is not established in the Community, the name of the importer, the name and type of the article and the safety instructions. 2. If the article does not provide sufficient space for the labelling requirements referred to in paragraph 1, the information shall be provided on the packaging. 3. A safety data sheet compiled in accordance with the Annex to Commission Directive 2001/58/EC of 27 July 2001 amending for the second time Directive 91/155/EEC (14) shall be supplied to professional users in the language requested by them. The safety data sheet may be supplied on paper or electronically, provided that the addressee has the necessary means of accessing it. 1. Member States shall take all appropriate measures to ensure that pyrotechnic articles may be placed on the market only if, when properly stored and used for their intended purpose, they do not endanger the health and safety of persons. 2. Member States shall carry out regular inspections of pyrotechnic articles on entry into the Community and at storage and manufacturing sites. 3. Member States shall take appropriate measures to ensure that when pyrotechnic articles are transferred within the Community, the safety and public security and protection requirements of this Directive are met. 4. Member States shall organise and perform appropriate surveillance of products placed on the market taking due account of the presumption of the conformity of products bearing a CE marking. 5. Member States shall inform the Commission annually about their market surveillance activities. 6. Where a Member State ascertains that a pyrotechnic article, bearing a CE marking, accompanied by the EC declaration of conformity and used in accordance with its intended purpose, is liable to endanger the health and safety of persons, it shall take all appropriate provisional measures to withdraw that article from the market, to prohibit its being placed on the market or to restrict its free movement. The Member State shall inform the Commission and the other Member States thereof. 7. The Commission shall make available to the public on its website the names of articles that, pursuant to paragraph 6, have been withdrawn from the market, have been banned or are to be placed on the market subject to restriction. Where a Member State has sufficient reasons to believe that a pyrotechnic article presents a serious risk to the health and/or safety of persons in the Community, it shall inform the Commission and the other Member States thereof and shall perform an appropriate evaluation. It shall inform the Commission and the other Member States of the background for and the results of the evaluation. 1. Where a Member State disagrees with the provisional measures taken by another Member State pursuant to Article 14(6) or where the Commission considers that such measures are contrary to Community legislation, the Commission shall consult, without delay, all parties concerned, evaluate the measures and take a position as to whether or not the measures are justified. The Commission shall notify its position to the Member States and inform the interested parties. If the Commission considers that the national measures are justified, the other Member States shall take the necessary measures to ensure that the unsafe article is withdrawn from their national market and inform the Commission thereof. If the Commission considers that the national measures are not justified, the Member State concerned shall withdraw them. 2. Where the provisional measures referred to in paragraph 1 are based on a shortcoming in harmonised standards, the Commission shall refer the matter to the Standing Committee set up by Directive 98/34/EC if the Member State at the origin of the measures maintains its position, and the Commission or that Member State shall initiate the procedure referred to in Article 8. 3. Where a pyrotechnic article does not conform but bears a CE marking, the competent Member State shall take appropriate action against whomever affixed the marking and shall inform the Commission thereof. The Commission shall inform the other Member States. shall state the exact grounds on which it is based. Such measures shall be notified without delay to the party concerned, who shall at the same time be informed of the remedies available to him under the national law of the Member State concerned, and of the time limits to which such remedies are subject. 2. In the event of a measure referred to in paragraph 1, the party concerned shall have an opportunity to put forward his views in advance, unless such consultation is not possible because of the urgency of the measure to be taken, as justified in particular by public health or safety requirements. adaptations to the labelling requirements set out in Articles 12 and 13.
the setting up of common criteria for the regular collection and updating of data on accidents related to pyrotechnic articles. 2. Where reference is made to this paragraph, Article 5a(1) to (4), and Article 7 of Decision 1999/468/EC shall apply, having regard to the provisions of Article 8 thereof. Member States shall lay down rules on penalties applicable to infringements of the provisions of national law adopted pursuant to this Directive and ensure that they are implemented. The penalties provided for shall be effective, proportionate and dissuasive. Member States shall also adopt the necessary measures allowing them to detain consignments of pyrotechnic articles that fail to comply with this Directive. 1. Member States shall adopt and publish, by 4 January 2010, the laws, regulations and administrative provisions necessary to comply with this Directive. They shall forthwith communicate to the Commission the text of those provisions. 2. They shall apply those provisions by 4 July 2010 for fireworks of categories 1, 2 and 3 and by 4 July 2013 for other pyrotechnic articles, for fireworks of category 4 and for theatrical pyrotechnic articles. 5. National authorisations granted before the relevant date indicated in paragraph 2 shall continue to be valid on the territory of the Member State having granted the authorisation until their expiry date or up to 10 years from the entry into force of the Directive, whichever is the shorter. 6. By way of derogation from paragraph 5, national authorisations for pyrotechnic articles for vehicles granted before the relevant date indicated in paragraph 2 shall continue to be valid until their expiry. Done at Brussels, 23 May 2007. (1) OJ C 195, 18.8.2006, p. 7. (2) Opinion of the European Parliament of 30 November 2006 (not yet published in the Official Journal) and Council Decision of 16 April 2007. (3) OJ L 121, 15.5.1993, p. 20. Directive as amended by Regulation (EC) No 1882/2003 of the European Parliament and of the Council (OJ L 284, 31.10.2003, p. 1). (4) OJ L 10, 14.1.1997, p. 13. Directive as last amended by Directive 2003/105/EC of the European Parliament and of the Council (OJ L 345, 31.12.2003, p. 97). (5) OJ L 46, 17.2.1997, p. 25. Directive as last amended by Directive 2002/84/EC of the European Parliament and of the Council (OJ L 324, 29.11.2002, p. 53). (6) OJ C 136, 4.6.1985, p. 1. (7) OJ C 91, 16.4.2003, p. 7. (8) OJ L 204, 21.7.1998, p. 37. Directive as last amended by the 2003 Act of Accession. (9) OJ L 220, 30.8.1993, p. 23. (10) OJ L 210, 7.8.1985, p. 29. Directive as amended by Directive 1999/34/EC of the European Parliament and of the Council (OJ L 141, 4.6.1999, p. 20). (12) OJ C 321, 31.12.2003, p. 1. (13) OJ L 187, 16.7.1988, p. 1. (14) OJ L 212, 7.8.2001, p. 24. Each pyrotechnic article must attain the performance characteristics specified by the manufacturer to the notified body in order to ensure maximum safety and reliability. Each pyrotechnic article must be designed and manufactured in such a way that it can be disposed of safely by a suitable process with minimum effect on the environment. Each pyrotechnic article must function correctly when used for its intended purpose. Each pyrotechnic article must be tested under realistic conditions. If this is not possible in a laboratory, the tests must be carried out in the conditions in which the pyrotechnic article is to be used. Specification of all devices and accessories needed and operating instructions for safe functioning of the pyrotechnic article. During transportation and normal handling, unless specified by the manufacturer's instructions, the pyrotechnic articles should contain the pyrotechnic composition. The manufacturer must assign fireworks to different categories according to Article 3 characterised by net explosive content, safety distances, noise level, or similar. The category must be clearly indicated on the label. throwdowns in category 1 must not contain more than 2,5 mg silver fulminate. the maximum noise level must not exceed 120 dB (A, imp), or an equivalent noise level as measured by another appropriate method, at the safety distance. Fireworks may only be constructed of materials which minimise risk to health, property and the environment from debris. The method of ignition must be clearly visible or must be indicated by labelling or instructions. Fireworks must not move in an erratic and unforeseeable manner. Fireworks of category 1, 2 and 3 must be protected against inadvertent ignition either by a protective cover, by the packaging, or by the construction of the article. Fireworks of category 4 must be protected against inadvertent ignition by methods specified by the manufacturer. Pyrotechnic articles must be designed in such a way as to minimise risk to health, property and the environment during normal use. The pyrotechnic article must be designed in such a way as to minimise risk to health, property and the environment from debris when initiated inadvertently. Where appropriate, the pyrotechnic article must function properly until the ‘use by’ date specified by the manufacturer. Ignition devices must be capable of being reliably initiated and be of sufficient initiation capability under all normal, foreseeable conditions of use. Ignition devices must be protected against electrostatic discharge under normal, foreseeable conditions of storage and use. Electric igniters must be protected against electromagnetic fields under normal, foreseeable conditions of storage and use. The covering of fuses must be of adequate mechanical strength and adequately protect the explosive filling when exposed to normal, foreseeable mechanical stress. The parameters for the burning times of fuses must be provided with the article. The electrical characteristics (e.g. no-fire current, resistance, etc.) of electric igniters must be provided with the article. The wires of electric igniters must be sufficiently insulated and must be of sufficient mechanical strength, including the solidity of the link to the igniter, taking account of their intended use. This module describes that part of the procedure by which a notified body ascertains and attests that a sample, representative of the production envisaged, meets the relevant provisions of Directive 2007/23/EC (hereinafter referred to as this Directive). The application for EC type-examination must be lodged by the manufacturer with the notified body of his choice. the technical documents, as described in point 3. The applicant must place at the disposal of the notified body a sample representative of the production envisaged, hereinafter called ‘type’. The notified body may request further samples if needed for carrying out the test programme. agree with the applicant the location where the examinations and necessary tests are to be carried out. Where the type meets the relevant provisions of this Directive, the notified body must issue an EC type-examination certificate to the applicant. The certificate must contain the name and address of the manufacturer, the results of the examination and the data necessary for the identification of the approved type. A list of the relevant parts of the technical documents must be annexed to the certificate and a copy thereof kept by the notified body. Where the manufacturer is refused a type certificate, the notified body must provide detailed reasons for such refusal. Provision must be made for an appeals procedure. The applicant must inform the notified body that holds the technical documents concerning the EC type-examination certificate of all modifications to the approved article which must receive additional approval where such changes may affect the conformity with the essential requirements or the prescribed conditions for use of the article. This additional approval must be given in the form of an addition to the original EC type-examination certificate. Each notified body must communicate to the other notified bodies the relevant information concerning EC type-examination certificates and additions issued or withdrawn. The other notified bodies may receive copies of the EC type-examination certificates and/or any additions thereto. The annexes to the certificates must be kept at the disposal of the other notified bodies. The manufacturer must keep with the technical documents copies of EC type-examination certificates and any additions thereto for a period of at least 10 years after the last date of manufacture of the article concerned. Where the manufacturer is not established within the Community, the obligation to keep the technical documents available is the responsibility of the person who places the product on the market. This module describes that part of the procedure whereby the manufacturer ensures and declares that the pyrotechnic articles concerned are in conformity with the type as described in the EC type-examination certificate and satisfy the requirements of this Directive that apply to them. The manufacturer must affix the CE marking to each pyrotechnic article and draw up a written declaration of conformity. The manufacturer must take all measures necessary to ensure that the manufacturing process ensures the conformity of the manufactured product with the type as described in the EC type-examination certificate and with the essential safety requirements of this Directive. The manufacturer must keep a copy of the declaration of conformity for a period of at least 10 years after the last date of manufacture of the article concerned. A notified body chosen by the manufacturer must perform or cause to be performed examinations of the article at random intervals. A suitable sample of the finished articles, taken on the spot by the notified body, must be examined and appropriate tests, defined in the applicable harmonised standard referred to in Article 8 of this Directive or equivalent, carried out to check the conformity of the article with the requirements of this Directive. In the event of one or more samples of the articles examined not conforming, the notified body must take appropriate measures. Under the responsibility of the notified body the manufacturer must affix the identification number of that body during the manufacturing process. This module describes the procedure whereby a manufacturer who satisfies the obligations set out in point 2 ensures and declares that the pyrotechnic articles concerned are in conformity with the type as described in the EC type-examination certificate and satisfy the requirements of this Directive. The manufacturer must affix the CE marking to each article and draw up a written declaration of conformity. The CE marking must be accompanied by the identification number of the notified body responsible for the monitoring referred to in point 4. The manufacturer must operate an approved quality system for production, final product inspection and testing as specified in point 3. He must be subject to the monitoring referred to in point 4. The manufacturer must lodge an application for assessment of his quality system with the notified body of his choice in relation to the pyrotechnic articles concerned. the technical documents pertaining to the approved type and a copy of the EC type-examination certificate. The quality system must ensure the conformity of pyrotechnic articles with the type as described in the EC type-examination certificate and with the requirements of this Directive that apply to them. All the elements, requirements and provisions adopted by the manufacturer must be documented in a systematic and orderly manner in the form of written policies, procedures and instructions. The quality system documents must permit a consistent interpretation of the quality programmes, plans, manuals and quality records. the means of monitoring the achievement of the required quality of the pyrotechnic articles and the effective operation of the quality system. The notified body must assess the quality system to determine whether it satisfies the requirements referred to in point 3.2. It must presume conformity with those requirements in respect of quality systems that implement the relevant harmonised standard. The auditing team must have at least one member with experience of assessing the relevant product technology. The assessment procedure must include an inspection visit to the manufacturer's premises. A duly substantiated assessment decision must be notified to the manufacturer. It must contain the results of the examination. The manufacturer must undertake to fulfil the obligations arising out of the quality system as approved and maintain it at an adequate and efficient level. The manufacturer must keep the notified body that has approved the quality system informed of any proposed change to the quality system. The notified body must assess the changes proposed and decide whether the altered quality system will still satisfy the requirements referred to in point 3.2 or whether reassessment is required. The purpose of monitoring is to make sure that the manufacturer duly fulfils the obligations arising out of the approved quality system. the quality records, such as inspection reports and test data, calibration data, and qualification reports of the personnel concerned. The notified body must periodically carry out audits to make sure that the manufacturer maintains and applies the quality system and provide an audit report to the manufacturer. Additionally the notified body may pay unannounced visits to the manufacturer. During such visits the notified body may, if necessary, carry out tests or have them carried out to verify that the quality system is functioning correctly. The notified body must provide the manufacturer with a visit report and, if a test has taken place, with a test report. the decisions and reports of the notified body referred to in the fourth subparagraph of point 3.4, and in points 4.3 and 4.4. Each notified body must give the other notified bodies the relevant information concerning quality system approvals issued or withdrawn. This module describes the procedure whereby a manufacturer who satisfies the obligations set out in point 2 ensures and declares that the pyrotechnic articles are in conformity with the type as described in the EC type-examination certificate. The manufacturer must affix the CE marking to each article and draw up a written declaration of conformity. The CE marking must be accompanied by the identification number of the notified body responsible for the monitoring referred to in point 4. The manufacturer must operate an approved quality system for final pyrotechnic article inspection and testing as specified in point 3. He must be subject to the monitoring referred to in point 4. The manufacturer must lodge an application with the notified body of his choice for the assessment of the quality system in relation to his pyrotechnic articles. Under the quality system, each pyrotechnic article must be examined and appropriate tests, as defined in the relevant harmonised standard(s) referred to in Article 8 of this Directive or equivalent, carried out in order to verify the conformity of the article with the relevant requirements of this Directive. quality records, such as inspection reports and test data, calibration data, and qualification reports of the personnel concerned. The notified body must assess the quality system to determine whether it satisfies the requirements referred to in point 3.2. It must presume conformity with these requirements in respect of quality systems that implement the relevant harmonised standard. The auditing team must have at least one member with experience of assessing the relevant product technology. The assessment procedure must include an inspection visit to the manufacturer's premises. The manufacturer must keep the notified body which has approved the quality system informed of any proposed change to the quality system. The notified body must assess the changes proposed and decide whether the altered quality system will still satisfy the requirements referred to in point 3.2 or whether a reassessment is required. the quality records, such as inspection reports and test data, calibration data and qualification reports of the personnel concerned. The notified body must periodically carry out audits to ensure that the manufacturer maintains and applies the quality system and must provide an audit report to the manufacturer. Additionally, the notified body may pay unannounced visits to the manufacturer. During such visits the notified body may, if necessary, carry out tests or have them carried out to verify that the quality system is functioning correctly. The notified body must provide the manufacturer with a visit report and, if a test has been carried out, with a test report. Each notified body must forward to the other notified bodies the relevant information concerning quality system approvals issued or withdrawn. This module describes the procedure whereby the manufacturer ensures and declares that the pyrotechnic article which has been issued with the certificate referred to in point 2 conforms with the relevant requirements of this Directive. The manufacturer must affix the CE marking to the article and draw up a declaration of conformity. The notified body must examine the pyrotechnic article and carry out the appropriate tests as set out in the relevant harmonised standard(s) referred to in Article 8 of this Directive, or equivalent tests, to ensure the conformity of the article with the relevant requirements of this Directive. The notified body must affix, or cause to be affixed, its identification number to the approved pyrotechnic article and draw up a certificate of conformity concerning the tests carried out. The aim of the technical documents is to enable conformity with the requirements of this Directive to be assessed and the design, manufacture and operation of the pyrotechnic article to be understood. This module describes the procedure whereby the manufacturer who satisfies the obligations set out in point 2 ensures and declares that the articles concerned meet the requirements of this Directive. The manufacturer or his importer must affix the CE marking to each article and draw up a written declaration of conformity. The CE marking must be accompanied by the identification number of the notified body responsible for the monitoring referred to in point 4. The manufacturer must operate an approved quality system for the design, production, final product inspection and testing as specified in point 3 and must be subject to the monitoring referred to in point 4. The manufacturer must lodge an application for assessment of his quality system with a notified body. the documents concerning the quality system. The quality system must ensure the conformity of the article with the requirements of this Directive. the means of monitoring the achievement of the required design and quality of the product and the effective operation of the quality system. The notified body must assess the quality system to determine whether it satisfies the requirements referred to in point 3.2. It must presume conformity with those requirements in respect of quality systems that implement the relevant harmonised standard. The auditing team must have at least one member with experience of assessing the relevant product technology. The assessment procedure shall include an inspection visit to the manufacturer's premises. The manufacturer must keep the notified body that has approved the quality system constantly informed of any proposed update of the quality system. The purpose of EC monitoring is to make sure that the manufacturer duly fulfils the obligations arising out of the approved quality system. the quality records required under the quality system for the manufacturing field such as inspection reports and test data, calibration data, and qualification reports of the personnel concerned. The body, its director and the staff responsible for carrying out the verification tests must not be the designer, manufacturer, supplier, installer or importer of pyrotechnic articles which they inspect, nor the authorised representative of any of these parties. They must not become involved either directly or as authorised representative in the design, construction, marketing, maintenance or importation of such articles. This does not preclude the possibility of exchanges of technical information between the manufacturer and the body. The body and its staff must carry out the verification tests with the highest degree of professional integrity and technical competence and must be free from all pressures and inducements, particularly financial, which might influence their judgment or the results of the inspection, especially from persons or groups of persons with an interest in the result of verifications. The body must have at its disposal the necessary staff and possess the necessary facilities to enable it to perform properly the administrative and technical tasks connected with verification; it must also have access to the equipment required for special verification. the ability to draw up the certificates, records and reports required to authenticate the performance of the tests. The impartiality of inspection staff must be guaranteed. Their remuneration must not depend on the number of tests carried out or on the results of such tests. The body must take out civil liability insurance unless its liability is assumed by the State in accordance with national law, or the Member State itself is directly responsible for the tests. The staff of the body must observe professional secrecy with regard to all information gained in carrying out its tasks (except vis-à-vis the competent administrative authorities of the State in which its activities are carried out) under this Directive or any provision of national law giving effect to it. If the marking is reduced or enlarged the proportions given in the above graduated drawing must be respected.